We have all had those days where we get home from work and really want a glass of wine. Okay, let’s be honest with each other... there are those nights we really need a glass of wine. However, maybe you don’t want to dig out the bottle you have been cellaring for 10 years, or that really expensive bottle you are saving for a special occasion. On the other hand, you don’t want to drink swill that sells for about two bucks. On those nights I find myself staring at my wine cabinet and there is only one bottle that is staring back at me, that is calling to me. In fact, it smiles at me, just asking to be the chosen one. On those nights, I reach for some Friend’s Red, from Pedroncelli Winery. Before Katie’s Uncle Jim and Auntie Zee brought us to Pedroncelli and I first tried Friend’s Red, I would usually shy away from table wines or anything was as non-descript as “red wine.” However, Jim and Zee raved about all the wines at this place so much that we just had to go and try it. Granted, they are a little biased towards Pedroncelli, as members of Club Ped and the 2011 bocce ball tournament champions. However, after our visit, I see what all the fuss was about. Friend’s Red is a blend of Zinfandel, Syrah, Merlot, and Sangiovese. I first notice the subtle spice of Zinfandel, while the Merlot and Sangiovese offer the fruit profile and the Syrah gives some weight to the whole thing. When you drink Friend’s Red, it stays with you and you can detect the hints of strawberry and pepper. Many table wines I have had before are so over-blended you feel like you are drinking the barrel leftovers without any thought or craft. Friend’s is not that wine. This is a smooth drinking red wine that stands on pretty strong legs. And now the best part, Friend’s Red is only $10 bucks a bottle, which makes it such a great everyday drinking wine. No other quote has penetrated my existence the same way as this gem has. Not only does it make light of my chemical dependence on caffeine, but few men know what it takes to be a champion more than Coach Ditka. Why the hell am I talking about drinking coffee and Mike Ditka when the title of this article clearly states that I'm going to talk about the grand opening of Enso Winery? I'm getting there. Those of you who have been keeping up with WestToast know that I've been really excited about the grand opening of Enso Winery this coming weekend. Particularly, my excitement stems from the fact that Enso is the embodiment of WestToast. They source grapes from up and down the entire west coast in order to make delicious, food-friendly wines that are accessible for those both seasoned and new to wine. While that may not be new, what is a first for me is the industry that inspired them to start making wine; coffee. Seriously! Cheers, Poindexter. The days of wine being an ambiguous experience, wrought with feigned protocol and aloof adjectives are over. A new winery aims to do to wine what many coffee roasters in Portland have already done to coffee: Inform the drinker of the complexities of a good cup or glass, while making it more accessible and natural. Prefer your coffee with just the right boldness, with beans from only that one hillside on that one island with hints of that one spice? There’s probably a wine for that, and odds are, you can explore it locally in Portland at ENSO Winery and Tasting Lounge, opening on Memorial Day weekend. Co-founder Chris Wishart launched the winery with Sharp in 2010, beginning with a 300 square-foot garage as their barreling space. The aim was simple: Make quality NorthWest wines here in town that are “foodie-friendly” and unique. What has transpired is the new winery and tasting lounge in a retail strip in the Buckman neighborhood, which provides a casual setting to sample the wines at your own pace or engage with the winemakers themselves. 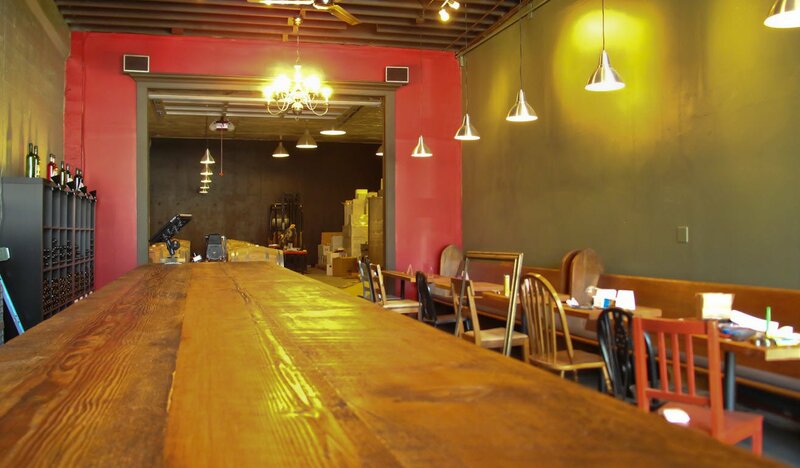 The public is invited to visit the opening of ENSO Winery and Tasting Lounge at 1416 SE Stark Street in Portland, to sample flights of their wines and other local wines, in addition to local beer, cheese, meat, and live music. Additional information can be found at ensowinery.com. I told you it'd make sense! 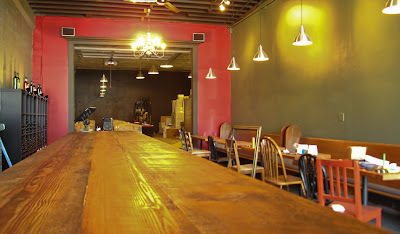 If you're around the Portland area for Memorial Day weekend, you owe it to yourself to stop by and check out Enso. 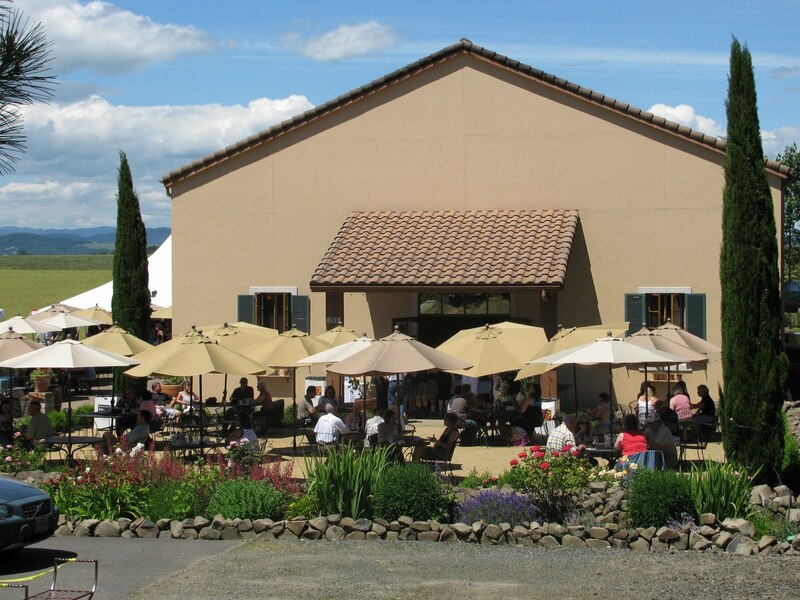 Their relaxed atmosphere, great wines, and friendly personalities are a perfect combination for success. Don't believe me? 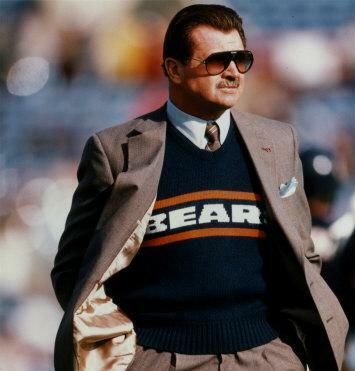 Ask Mike Ditka. I'll be there on Saturday as well, so come say hi! When it comes to northern California wine country, everyone knows about Sonoma and Napa counties, but there is a third, lesser known, county that is really starting to make a name for itself. Becoming increasingly well-known and popular, Mendocino County is one of the oldest grape growing areas in California and is home to the smallest AVA in North America. A laid back and casual wine growing region, Mendocino is full of family wineries that offer a non-intimidating approach to wine. With many wineries focusing on organic and sustainable winemaking, including America’s first carbon neutral winery, Parducci Wine Cellars, Mendocino County is known as California’s greenest wine region. On Friday September 9th, visitors will spend their afternoon at the Little River Inn barrel tasting the acclaimed Pinot Noir from Anderson Valley region. Each winery will be pouring a new vintage alongside an older, already released vintage, giving a chance to see how wine ages, develops, and changes over time. Tickets for Friday Barrel Tasting are only $40 and you’ll have the chance to meet and mingle with the winemakers at a beautiful location overlooking the Pacific Coast. Saturday features two events for wine loves. The first event is a true Feast for the Senses as Winesong! invites 50 restaurants and food purveyors from Northern California to join and pair food with 100 wineries from wine regions up and down the West Toast, *cough, cough* I mean, the West Coast, as well as international producers from South Africa, Italy, and Chile. As a lover of both California coastal Pinot Noir and Oregon Pinot, I am looking forward to some side-by-side tasting. While strolling through the breathtaking Mendocino Coast Botanical Gardens, participants can sip delicious wines, eat delicious food, and enjoy live music while overlooking the Mendocino Coast and smelling the delicious salty air. Yep...pretty sure we’ll have sensory overload on this one. Just be sure to take time to stop and smell the roses. Second, and perhaps most importantly, Winesong! auction serves as the primary fundraiser for the Mendocino Coast Hospital. I know I have said it before, but I love being a part of a wine country that gives so much back to the community. Entering its 27th year, the auction has raised over $4 million to aid the Mendocino Coast Hospital in providing quality health care and equipment. It’s true that Mendocino may not be the first location thought of for a wine country getaway, but an event like Winesong! will feature some of the most hand-crafted and unique wines in California and beyond. And, instead of staying in a big hotel, stay in one of Mendocino’s many boutique bed and breakfasts or seaside inns and make this event part of a wonderful getaway, even if you live just down the road. I know that’s what Katie and I will be doing for 2011 Winesong! Check back about a week after the event for my thoughts on this highly-anticipated event! In February I mentioned the cornucopia of wine that is Wine World Warehouse in Seattle, you may recall that I ride by the establishment on the good old King County Metro 44 to and from work every day. Since that time, I'd been to the warehouse a few times to pick up a specific bottle, however, I had yet to take full advantage of one very critical feature: they offer free tastings and lots of them. See the variety I'm talking about? Alright, back to my story. A few weeks ago on a Wednesday it had been a particularly long first half of the week at work and I was looking to unwind a bit. I was on the bus cruising down NE 45th Ave in the U-District and I saw the Wine World sign ahead, and it hit me. Free tasting. Every night. Must stop. I quickly consulted the Intertubes and was quite pleased to learn that Blog favorite Woodward Canyon was pouring that particular evening. Rick, Alyssa, and I had downed a bottle of their Artist Series Cabernet the weekend before after the epic Ludacris show in Pullman and I was thirsty for some more. I hopped off the bus, sashayed in, and was pleased to see that the tasting bar was empty of tasters as it was just 6:00 PM. Woodward Canyon owner Rick Small was waiting at the counter with four wines ready to go, and after signing in with Wine World staff I was ready to go. I enjoyed a lovely conversation with Rick, it was nice to hear his perspectives on the wine as well as learn more about the origin of the Nelms Road label, Woodward's declassified line. As expected, the Artist Series was the star of the show but boy do I also love the Washington Chardonnay. After an hour or so, I realized I better head home before the bus clientele got too shady, so off I went very pleased with the decision to stop. Moral of the story? If you are in the Seattle area any given night of the week and want to relax at the end of the work day, Wine World is a great place to do it. They'll be tasting something, and does it really matter what? As I'm sure all of you already know, I made my network TV debut yesterday morning on KPTV 12's MORE Good Day Oregon. The show was a lot of fun to do and I certainly hope I get to do it again some time. If you for some reason weren't watching TV at around 9:15AM on Friday morning in the Portland-Metro area, I thought I'd take this opportunity to sum up what I covered regarding fun Oregon wineries to hit up during Memorial Day weekend. Willamette Valley Vineyards is my de facto choice for Oregonians who want to get into wine, but may not know exactly what they like. Not only are they really great people, but WVV makes a little bit of everything. Because they have vineyards all over the state, they are able to make a wide range of whites, reds, and dessert wines to help almost any wine novice hone in on where their tastes lie. If you don't like anything at WVV, you probably just don't enjoy wine. Over Memorial Day weekend, WVV will be hosting a Blind Tasting Competition of Pinot Noirs around the world. While I wouldn't suggest participating as a wine novice, I would highly suggest attending. Not only will the tasting competition be entertaining, but they'll also be cracking open some pre-release and library wines. Rarely will you have an opportunity to try such a wide array of different varietals, so check it out. Want to stay in town? No problem! A lot of newcomers to wine don't realize that you don't have to visit a vineyard to visit a winery. Many wineries source their grapes from multiple vineyards, which means they can produce the wine wherever they want. Portland, for example, is home to somewhere around eight licensed wineries all producing wine in an urban area. 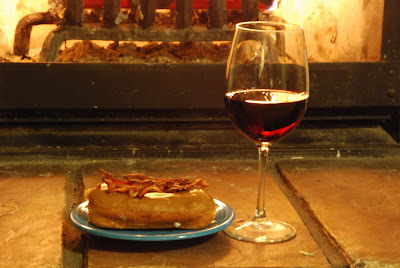 For a full list, check out PDXWineries.com. Specifically, I'd suggest hitting up the grand opening of Enso Winery. Located around 14th and Stark, Enso's approach is to create an inviting pub/lounge type atmosphere with great wines at an affordable price. They'll also have a rotating local beer on tap, so there's something for everyone. This is where Josh and I will be on Saturday, so come say hi! If you're a bit more of an experienced wine drinker int he Willamette Valley and want to try something a bit different, try hitting up Cana's Feast in Carlton. Why? Wine maker Patrick Taylor typically uses Italian varietals and makes more Mediterranean-style wines, whereas most Oregon wineries use French varietals. They also have a very wide breadth of options, so Cana's Feast is perfect for newcomers as well. For Memorial Day weekend, Cana's Feast will be closing their Cucina restaurant and, instead, will be pairing antipasti plates with wine tastings. I cannot emphasize enough how perfectly Patrick's wines pair with Chef Lisa's cuisine. If you want the full wine and food experience with world-class examples of both, here's your opportunity. This portion is a WestToast exclusive as, unfortunately, we ran out of time during the segment and I didn't get to talk about Sokol Blosser. While Sokol Blosser may not have a wide of a portfolio of varietals as my other picks, they do make some of the best Pinor Noir in the entire state. They also make the Meditrina and Evolution blends, which we have highlighted before as being the two best utility wines to pair with absolutely everything (such as Voodoo Donut Bacon Maple Bars, Primanti Brothers' Sandwiches, and Dave's Killer Bread Sin Dawgs). Over Memorial Day weekend, Sokol Blosser will be doing live music, barrel tasting, and even popping open some library wines. Check out their events page for more info. What happens when you bring together the not-really-snooty up-and-coming winos from The Oregon Wine Blog and the beer prowess of the [BW] Beer Blog? No, it's definitely not a drunken love child; get your mind out of the gutter. You get a little thing I like to call "synergy", also known as WestToast.com: Semi-pretentious enthusiasts of wine, beer, and spirits of the West Coast. That's this site. Magic. Sober followers of The Oregon Wine Blog certainly realize that we've covered more than Oregon and more than wine for a number of years. As we expanded more and more into Washington, a number of readers asked whether we were going to broaden in name and scope. No, I responded, I'm too lazy to rebrand and Rick's already redesigned the Blog twice. Then we picked up a California Correspondent, and I moved to Washington. Ironic, no? So here I sit, wine glass in hand, writing the post announcing the launch of our new site: WestToast. The rest, they say, is history. Don't worry, we've retained much of the writing staff as well as the witty, conversational format of The Oregon Wine Blog. WestToast recognizes a broadened scope both geographically and topically by covering wine, beer, spirits and cuisine in California, Oregon, Washington and Idaho, and we've picked up some new staff and ideas along the way. So there's the scoop. Welcome, enjoy, and let us know if you have feedback or ideas! You've found The Oregon Wine Blog's newest venture, WestToast, prior to the official launch date! Our hamsters need a few more days to run around the cage, but we're shooting for a May 20 release. Last Thanksgiving, I really took a chance and exposed the inner workings of my family with what a typical holiday looks like. Instead of the usual drunken complaintfest we normally experience, it ended up being one of the best Thanksgivings ever thanks to Josh joining us, some Castle Crashers, and Erath's 2008 Leland Pinot Noir. While Josh didn't join us last weekend, I tried to replicate as much of the experience as I could for Easter dinner. Nobody in my family is very religious, so Easter is more or less an opportunity for us to get together and stuff our faces with ham and ham accessories. To fully accessorize the ham while also partaking in the requisite alcohol consumption, I decided to make another one of Erath's Pinot Noirs a part of my holiday experience. This Easter I decided to open a bottle of Erath's 2008 Prince Hill Pinot Noir. For the sake of disclosure, this was a promotional bottle sent to me by Erath. Like all wines we review, I'm still going to be just as critical as I would otherwise. Picture this scene: It's about 3pm and Alyssa and I have just arrived at my parents' house. Grandma is spaced out on the couch staring into oblivion, my mom is busy in the kitchen, my sister is on a laptop, and my dad isn't anywhere to be fouOH THERE HE IS! Alyssa and I are greeted with a big group hug out of nowhere and one thing is obvious; he's been hitting the sauce for a few hours. If there's anything that makes his loud ramblings any easier to bear, it's having a few drinks yourself. Me: "It retails for about $45"
At that point he took the liberty of grabbing the bottle and taking a swig from it. Dad: "Let's drink it like it's cheap!" I got the bottle back and my mom took it upon herself to usher him out of the dining room. Finally I could start pouring. Erath's 2008 Prince Hill Pinot Noir pours a very bright, translucent ruby color that is much lighter than your typical Oregon Pinot Noir. As the tasting notes state, you're immediately greeted with powerful cranberry hues followed by what I identified as red fruits and cocoa. That said, the tartness of the cranberry really steals the show as other flavors are somewhat over powered. The tartness was somewhat subdued when paired with ham and more savory side dishes. Although Erath suggests pairing this wine with savory duck and pork dishes, I disagree only because this wine paired like peanut butter and jelly when paired with cheese cake. The rich, creaminess of the cheesecake both subdued the tartness and combined with its lesser hues to really bring out its full flavor. In short, I would definitely recommend trying this Pinot Noir if given the opportunity, but I would urge you to ignore its pairing suggestions and instead have it with some sort of rich dessert. 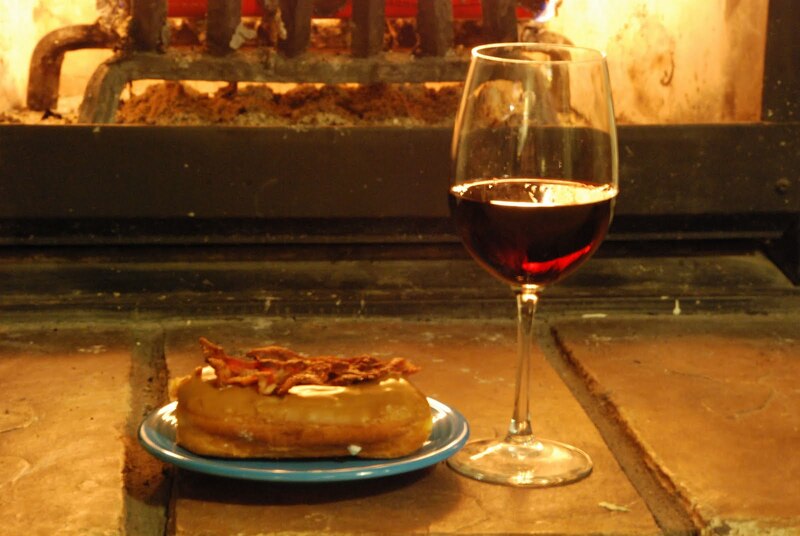 Wine and dessert? I know, life is rough sometimes. A huge thank you goes out to Erath for providing the wine as well as an apology for probably writing the least-classiest way to review an otherwise phenomenal Pinot Noir. Up next on my series of wine for the holidays: Memorial Day weekend and whatever my dad agrees not to take pulls of.